Now that the end of winter is finally in sight, it is time to start preparing for spring. 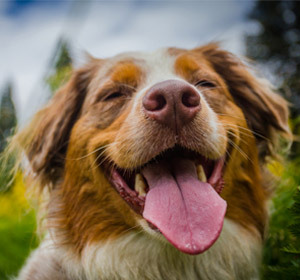 Cleaning, gardening, and welcoming the warmer temperatures are all things to look forward to, and there are some extra steps you should take if you are a dog owner to get the most out of the season. Inspect Your Dogs Collar and Tags: You may have had the same collar for years and not realized how worn it has gotten, or your dog may have put on a bit of winter weight and their collar is a bit more snug than you remember. Check your dog’s collar in the spring to make sure that it fits well and is in good condition before they start being outside more. While you’re looking at the collar, make sure the identification tags are still correct and the city licenses are up to date. You may have changed your phone number and not thought to update the tag, or your dog may have damaged it and the contact information is no longer legible. You want to be sure that if anyone needs to contact you about your pup, they can. 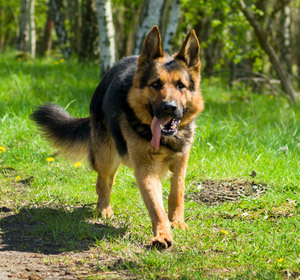 Give Them A Good Grooming: Your dog is spending more time outside due to the warm weather which is causing their winter coat to begin to shed. Not only does this leave fur all over your home and clothing, but it also gets in the car with you as well if you bring your dog to and from the park or to different places to enjoy walks during the longer days. A good brushing will help take out the fur that is ready to be shed and help your dog feel better and save you time cleaning. Protect Them from Fleas and Parasites: The spring is when pests and parasites make their return. Apply a flea treatment to your dog to prevent the hassle and worry of dealing with an infestation and visit your vet to obtain a worm prevention medication to keep your dog safe for the year. Watch for Bee Stings: Just like humans, our pets can be allergic to bees. The severity can vary between animals, so keep an eye on your pup and contact your vet’s office as soon as you notice they’ve been stung. Describe the symptoms your dog is experiencing, and they will be able to advise you on what you should do next, and if your dog needs to come in and be seen. Check Your Garden for Poisonous Plants: Now that it’s time to get back in the garden, keep an eye on which plants your dog has easy access to. Some common and popular decorative plants and flowers are poisonous to your dog, including azaleas, calla lilies, and geraniums. Spring is a great time to get everything in order, and why not start with your pet! Enroll your puppy in our Puppy Training Preschool Program to help develop a good foundation and strong owner-dog relationship that will last throughout your dog’s life. Many elements will be addressed, including nipping, housebreaking, and safety between your dog and your children. You may enroll your puppy up until the age of 16 weeks. After four months of age, your pup is eligible for our Basic Obedience classes. Enroll them during the spring so all of your summer walks and adventures will be a breeze. Our classes help dog owners learn how to become an alpha leader, and teach your dog basic commands such as heel, sit, stay, and come. These commands, along with the others your dog will learn, are essential for developing a basic obedience structure. Our sessions are available at our training centre in a one-on-one environment, or at your home. We encourage you to continue working with your dog after each session to support and reinforce the training they have learned. To enroll your dog in either our Puppy Training Preschool Program or our Basic Obedience classes, contact Alpha Paws today at 1-877-868-5248 (PAWS).